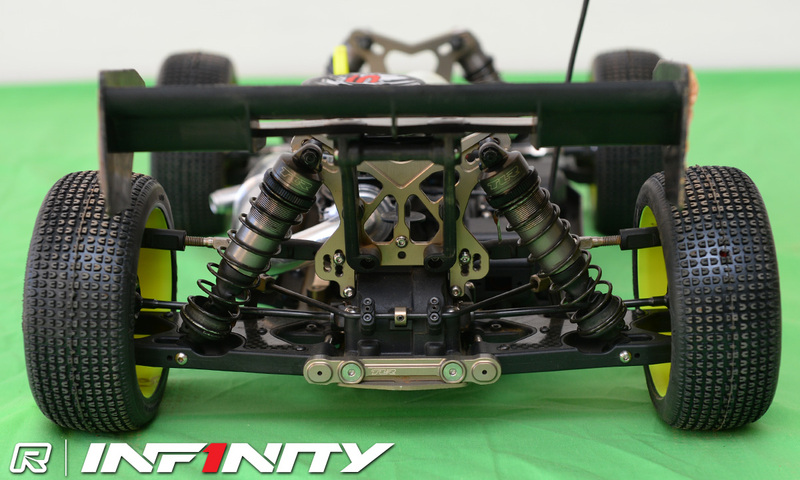 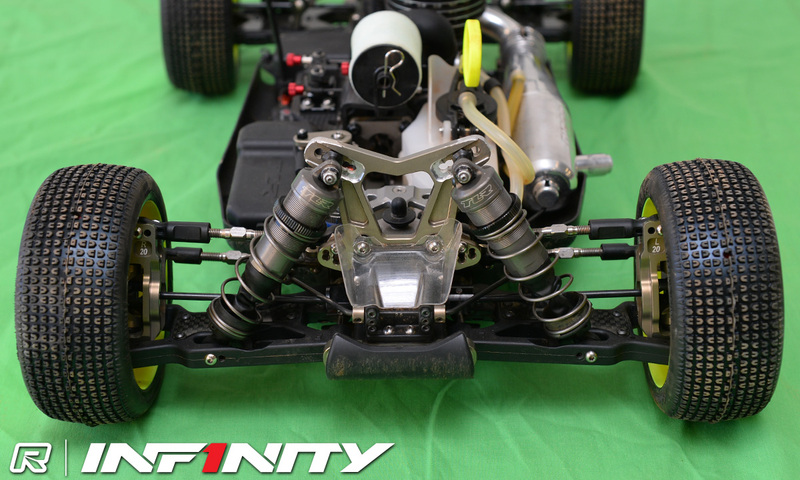 Remarks – The main feature of Dakotah’s 8ight X is a new preproduction carbon centre diff brace. 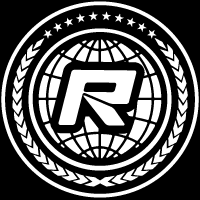 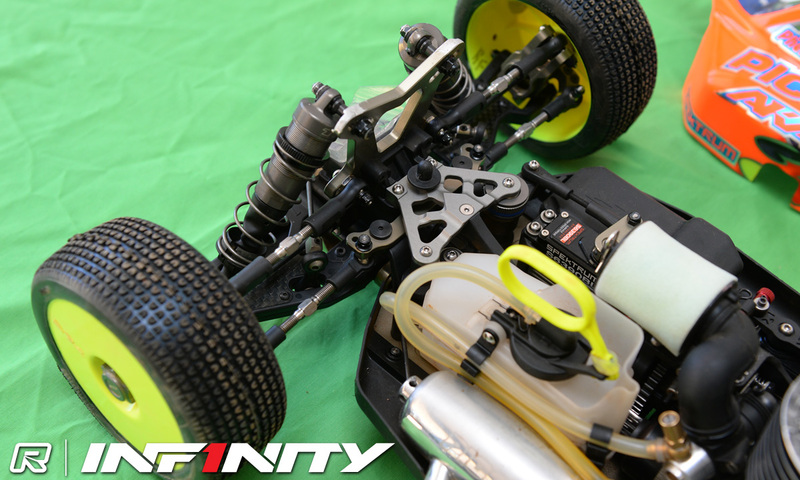 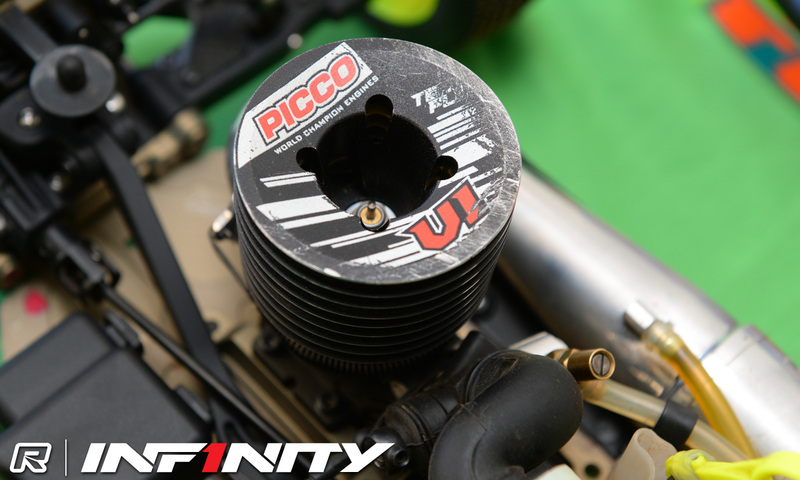 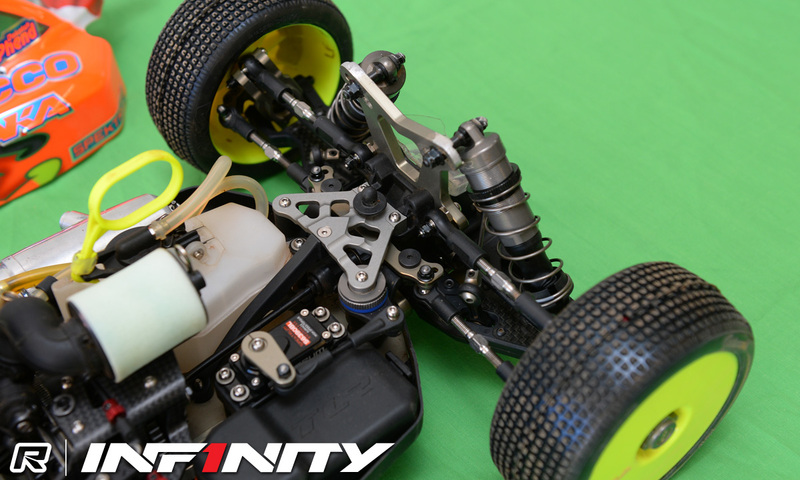 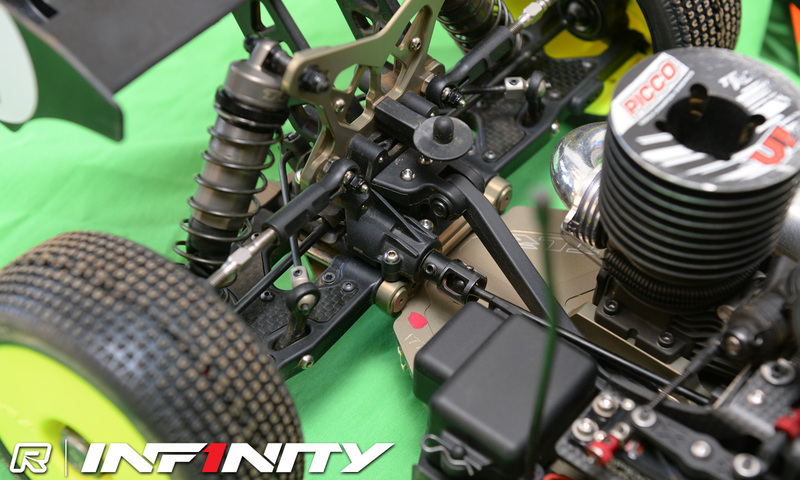 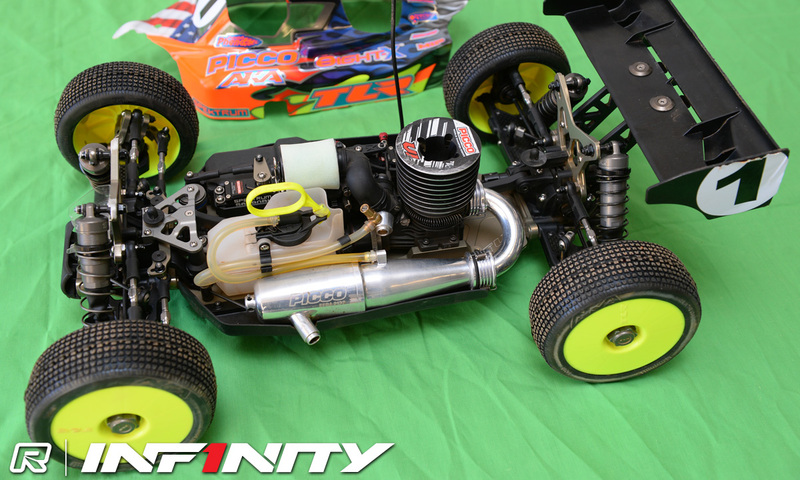 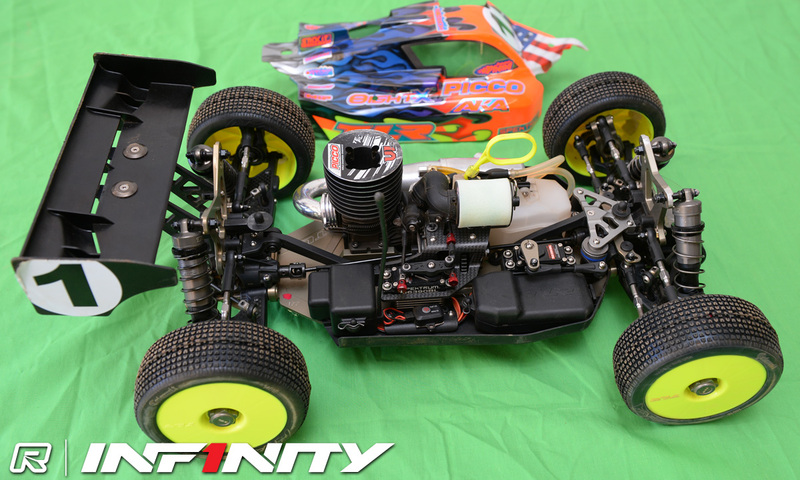 Set for release shortly, it offers a 10g weight saving and also helps the throttle servo to run cooler. 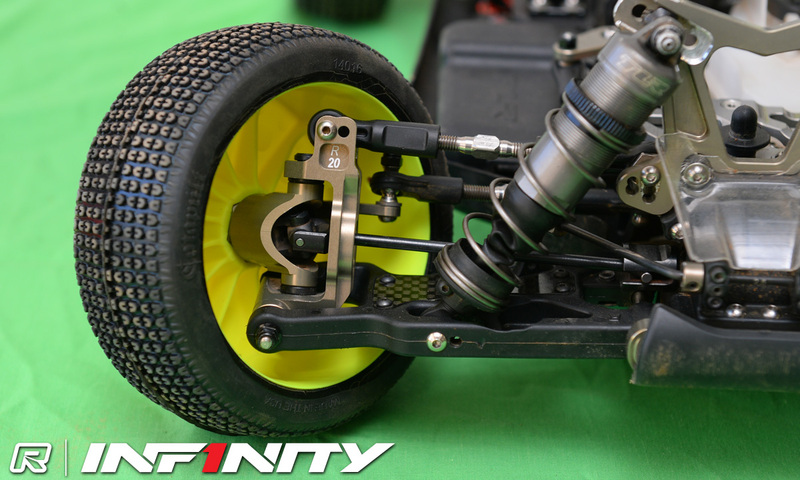 Elsewhere on the car it, he is using an optional front top plate, carbon inserts in the front and rear arms and the 3.5mm shock shaft conversion.